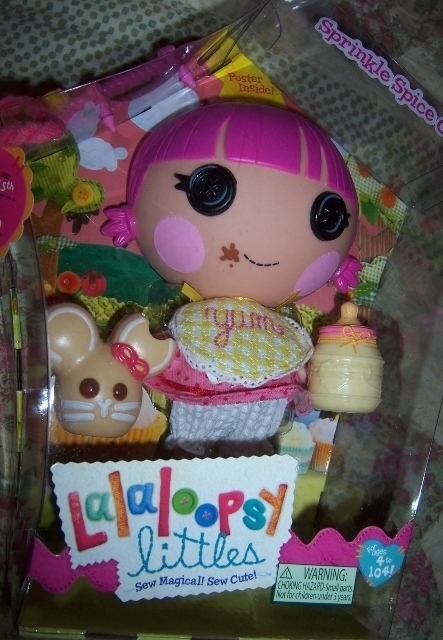 C P Treasures This Lalaloopsy Littles features Sprinkles Spice Cookie. She is Crumb Sugar Cookies little sister. She was sewn from a bakers apron. She has a huge appetite and a serious sweet tooth. 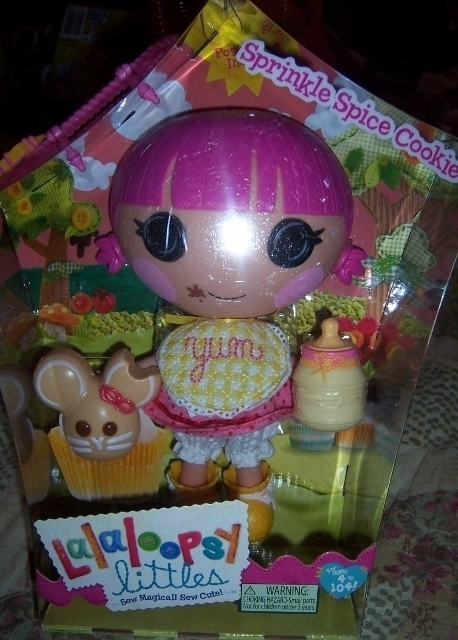 She comes with a rabbit shaped sugar cookie a baby bottle. 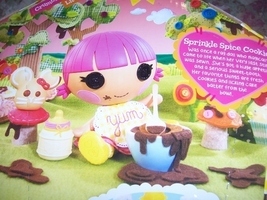 For ages 4 to 104 New in box.